Dril-Quip makes High Integrity Pipeline Protection Systems (HIPPS) manifolds. How do you integrate a new high pressure production well into an existing lower pressure subsea gathering system? With Dril-Quip’s High Integrity Pipeline Protection System (HIPPS). 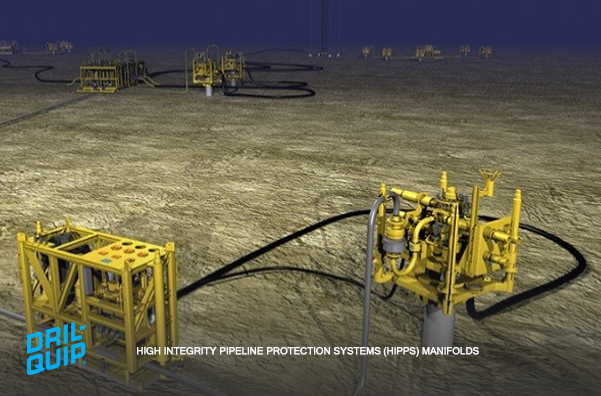 A HIPPS manifold will automatically stop high pressure production flow from reaching a lower pressure pipeline, preventing loss of containment and a potential pipeline rupture. The HIPPS manifold is a safety device that protects your existing infrastructure assets. Dril-Quip has designed, manufactured and delivered a number of HIPPS manifolds for single and multiple production system installations. For more information click here and download our catalog.